The Council on American-Islamic Relations (CAIR), the nation’s largest Muslim civil rights and advocacy organization, is strongly urging members of the United States Senate to oppose Gina Haspel’s nomination to CIA Director. Gina Haspel played a direct role in the CIA’s torture program. Haspel was the Chief of Base of the CIA black site located in Thailand, a secret prison that was used as a torture laboratory. According to the Senate Torture Report, under her supervision, Abd Al Rahim Al-Nashiri was subjected to at least three waterboarding sessions and other brutal forms of torture. The report further indicates that Haspel was the only person who had the ability to “interrupt or stop an interrogation in process,” but did not take any steps to do so. Obstruction of justice. In 2005, Haspel drafted and signed her name to a cable that approved the destruction of 92 videotapes documenting the illegal use of torture relating to the CIA Thailand black site. The cable even provided instruction on how the evidence should be destroyed, recommending the use of an industrial-length shredder. Acquiring inaccurate information. Haspel repeatedly supervised and approved the use of torture as a means to get national security information from detainees. 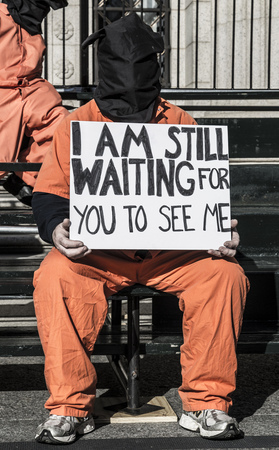 Many experienced interrogators and intelligence professionals, including officials from the CIA, NCIS, FBI, DEA, DIA and U.S. military, wrote a letter opposing the use of torture as a means to get accurate information. The letter states “[torture] tends to produce unreliable information because it degrades a detainee’s ability to recall and transmit information, undermines trust in the interrogator, and often prompts a detainee to relay false information that he believes the interrogator wants to hear.” As CIA Director, the ability to not just get information, but get accurate information is critical to the security of our nation. Disregarded direct federal and executive orders. Haspel disobeyed a direct order from former CIA lawyers, multiple White House Counsels, and numerous federal judges advised that the destruction of the videotapes required prior White House approval. Haspel issued the cable to destroy the tapes before such an authorization was given. Dishonors constitutional accountability measures. Allowing Haspel to continue to rise in the ranks of the CIA damages the integrity of holding a U.S. government post and preserving human rights. It promotes the impunity of those who commit heinous acts, destroy the evidence, and violate executive orders.